Nothing says "I love you" more than the deep passion found within red roses. 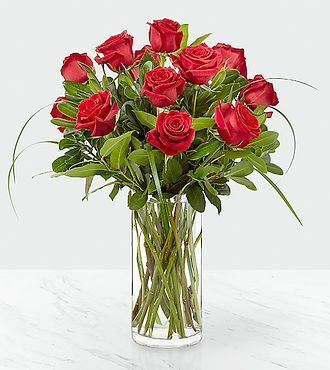 A heartfelt collection of red blooms sits among an array of assorted green, placed in a simply modern glass cylindrical vase perfect to deliver a special message. STANDARD bouquet is approx. 20H x 17W.